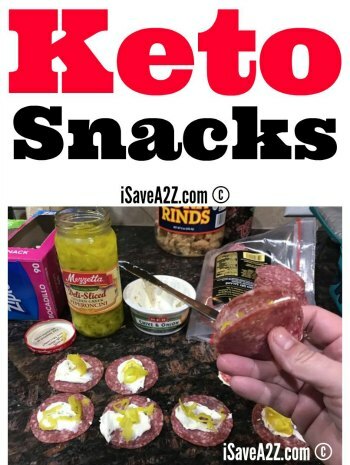 Ever since starting the Keto Diet I’ve been experimenting with all types of recipes and flavors. 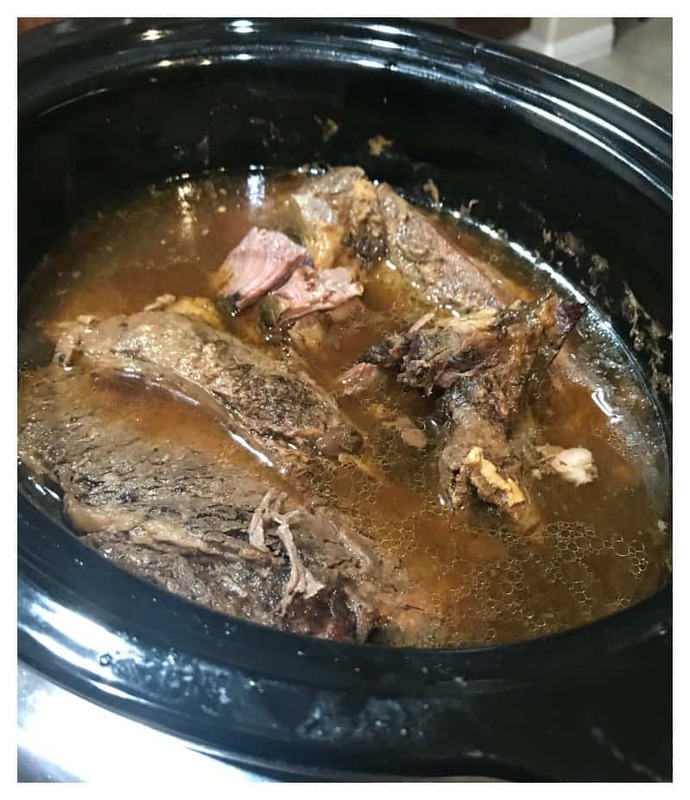 Last night, I decided to put a pot roast in the slow cooker overnight but I added a twist. I added pickle juice!! I promise you this is the secret ingredient that makes the most tender pot roast you’ve ever had in your life! No knife needed at the dinner table for this recipe! 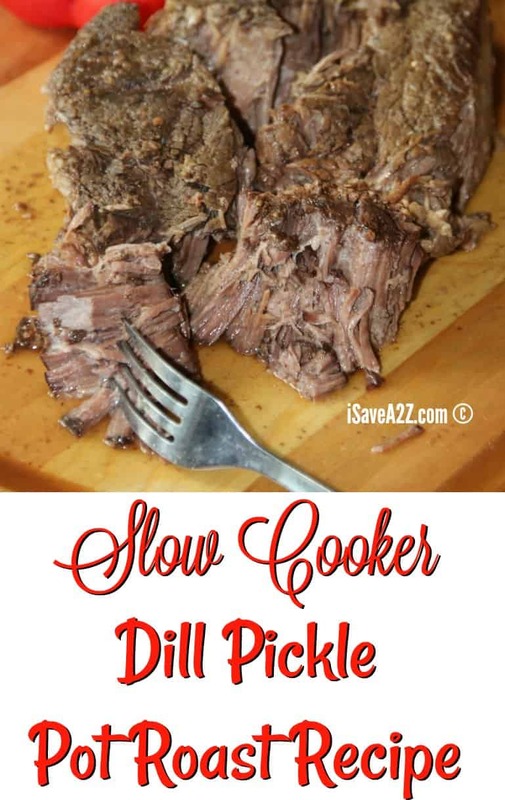 We already know that vinegar breaks down the chemical bond in protein to allow it to tenderize but the pickle juice is a flavor that brings this pot roast recipe to a whole new level. And… You can barely taste the pickle juice flavor at all. You know what’s funny? I put these ingredients in the slow cooker last night not knowing what outcome I would get this morning. I ended up buying a beautiful pot roast at Costco (which isn’t cheap) so I know I was gambling with this dinner idea. I purchased the Beef Chuck Pot Roast in a two pack. I wanna say it was near $25! I really like the quality of beef I get from Costco too though.I tend to make a ton of meats over the weekend and turn them into different meals during the week. I honestly didn’t know if I would ruin this expensive hunk of beef or not. Thank goodness it was a hit! I tend to make a ton of meats over the weekend and turn them into different meals during the week. This Beef Chuck Pot Roast could easily be turned into 3 or 4 meals. I also like to purchase their organic ground beef packs too. 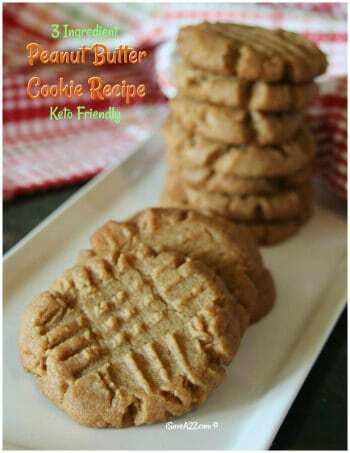 They come in three packs and they are easy to freeze and defrost when I need them. I was able to fit both Beef Chuck Pot Roasts into my 6-quart Slow Cooker. I had to turn them on their sides but they fit. This 6-quart Slow Cooker with a locking lid is my absolute favorite. I can’t tell you how many times I’ve locked that lid and took it with me on the go to a food gathering! It’s worth every penny! It’s inexpensive too! Seasonings of your choice. I like to add a sprig of fresh rosemary and thyme. When I don’t have the fresh herbs on hand, I add a tablespoon or two of Grillmates Seasoning and it’s usually the Montreal Steak blend because that goes well with anything and everything! Spray the inside of the slow cooker with non-stick cooking spray. Sometimes I like to use the Crockpot liners too because clean up is a breeze. Add the roast beef to the crockpot and pour the pickle juice over the top of it. If the water/juice doesn’t come up at least halfway covering the beef, add a bit more water. You want the liquids covering at least half of the roast. I placed two roasts in the pot at the same time and I needed to add more water. Set the slow cooker to cook on low for at least 8 hours. I love to do this overnight and wake up to a home that smells amazing! I will also do it in the morning and plan for it to be ready right when the family gets home for dinner. That’s it! That’s all you need to do to make the most amazing tender pot roast of your life! 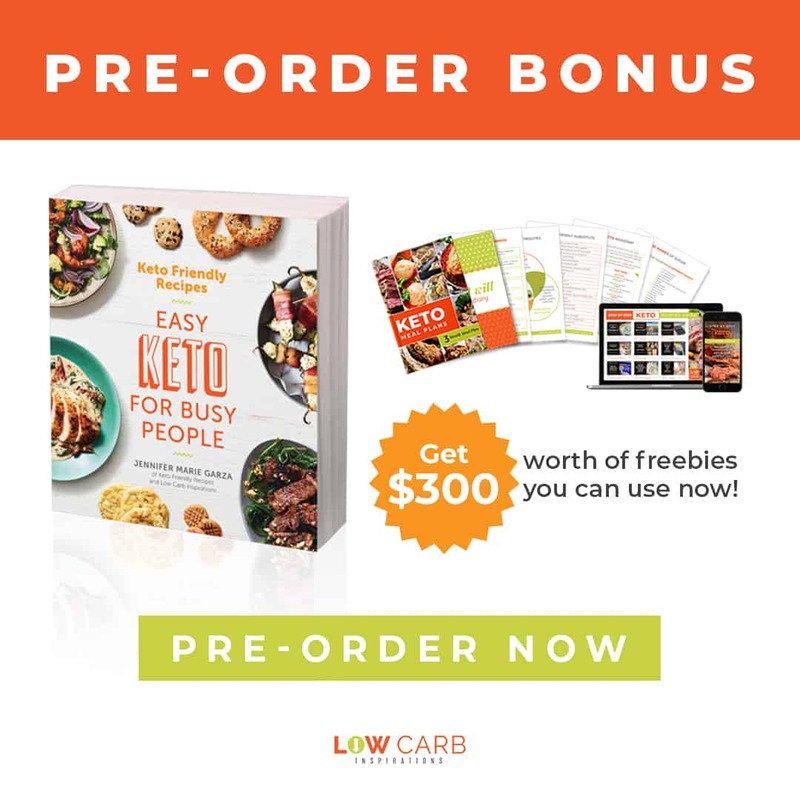 This has been a big change for me on my Keto journey. 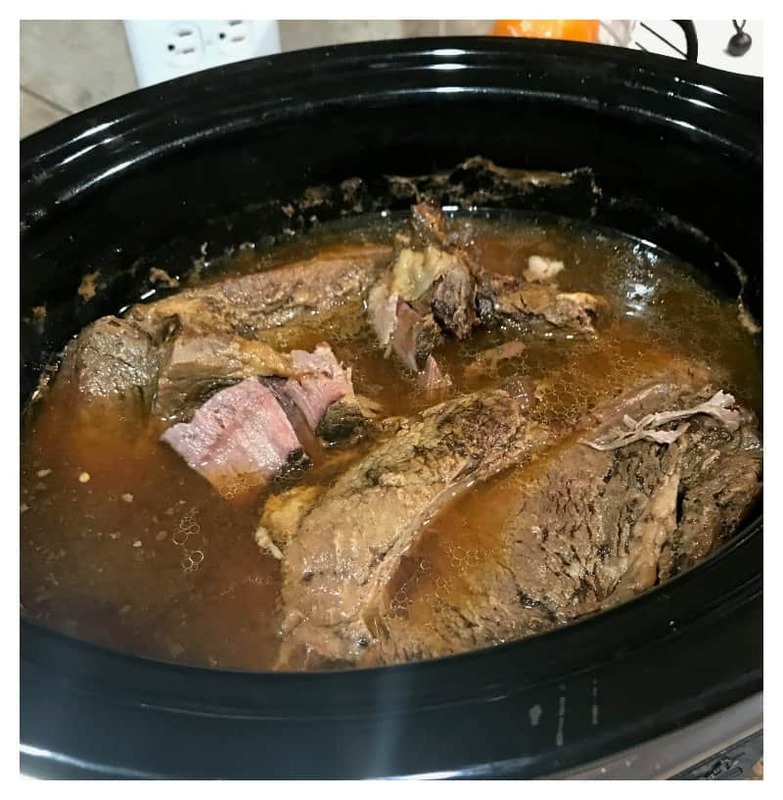 I’ve always made my Pot Roasts with cream of mushroom soup as seen in this Pot Roast Crockpot recipe. Seasonings of your choice. I like to add a sprig of fresh rosemary and thyme. When I don't have the fresh herbs on hand I add a tablespoon or two of Grillmates Seasoning and it's usually the Montreal Steak blend because that goes well with anything and everything! If the water/juice doesn't come up at least halfway covering the beef, add a bit more water. You want the liquids covering at least half of the roast. I placed two roasts in the pot at the same time and I needed to add more water. That's it! That's all you need to do to make the most amazing tender pot roast of your life! 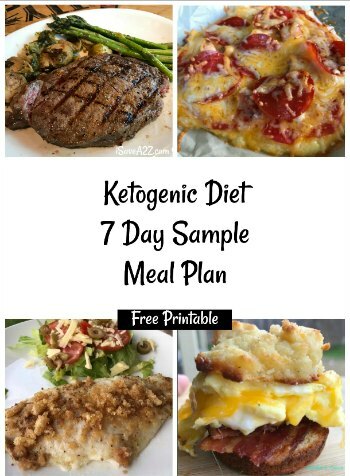 By Jennifer on September 29, 2017 Crockpot, Keto Dinner Recipes, Keto Friendly Recipes, Keto Lunch Recipes, Main Dishes, Recipes, Weight Watchers. Hi, just wondering what size roast was used? Thank so much– this sounds amazing! Dill pickle juice sounds so crazy for cooking a roast but it was great It’s now my favorite roast recipe. My family also loved it.